Pass The Star is our derby package with parts from Chaya. The boots are heat moldable and easy to mount yourself thanks to the unique Dual Centre Mounting system. With this package you can choose between the Chaya Ophira plate or the Chaya Shiva plate. 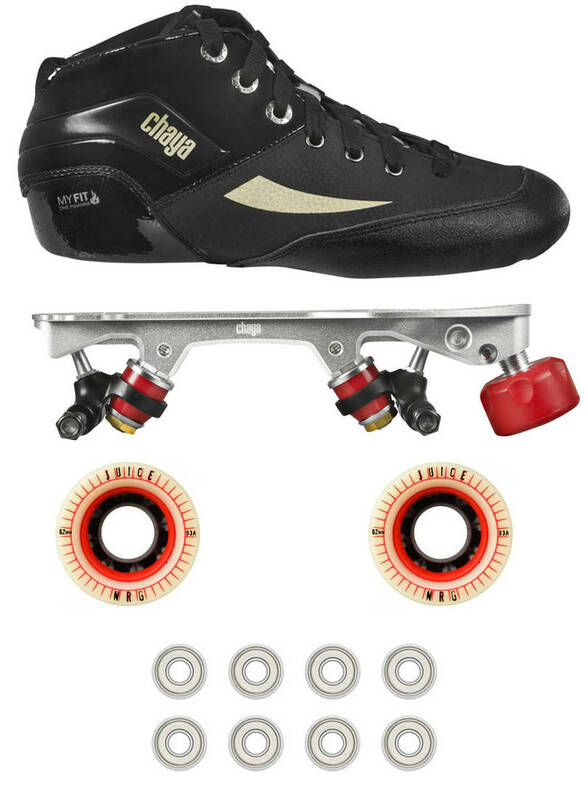 Both are very light weight and has a 45 degree kingpin, which gives you a very lively and responsive skate. The Ophira comes with the strong and durable standard axles. The Shiva plate comes with the fast clip release axles make wheel changes a breeze. Choose your favourite wheel and match them to your choice of bearings and you have a full package and will be ready for derby. This was a great deal for a great package. Came with everything I was looking for and needed!